has never been this quiet before. creating the lowest possible noise-output. Further more the fan is fitted with for blue LED’s. The 5 heatpipes – one of 8mm and four of 6mm diameter – are fitted using the advanced Heatpipe-On-Core technology to guarantee the fasted heat dissipation possible. 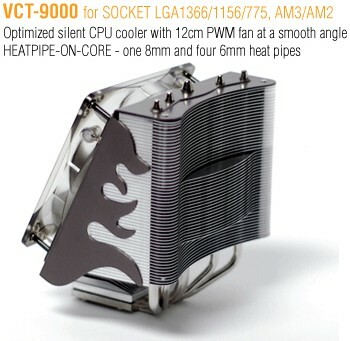 to reach the target area on top of the CPU core for effective cooling. 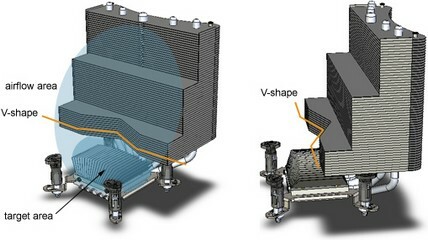 for the VCT-9000 compared to side-blowers. the CPU. 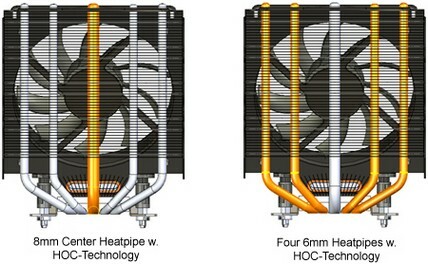 On either side of the 8mm heatpipe there are two highly efficient 6mm heatpipes. this benefit in the most effective way. 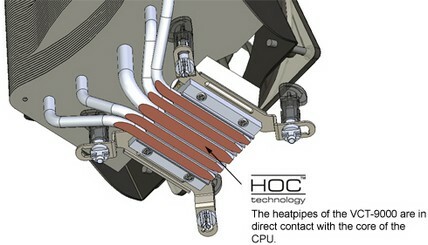 Heat is absorbed directly from the CPU core. loss of disipation and loss of performance.